Choosing spray foam insulation is significant investment so it’s important to ensure that the spray foam is correctly applied and installed so that you can enjoy the benefits it offers. When you decide to work with a spray foam contractor, there are a number of important factors to consider before forging ahead with the job – or signing a contract. Choose the Right Product. There are a number of spray foam products available on the market today. Make sure to thoroughly research products available before settling on a contractor. Support. 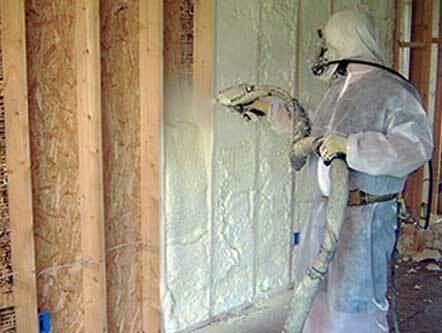 Spray foam insulation is a highly specialized product that must be applied by licensed professionals. These contractors are trained on best practices, technical support and code requirements. Proper installation. 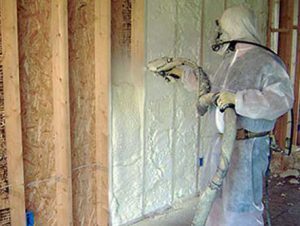 Find a licensed team that will install spray foam according to local building code requirements and will know how to properly address any unique design features of your home or building. Training. Check to see if the insulation contractor is licensed by the manufacturer to make sure they have the necessary training for the job. Know the Product. As you may already be aware, spray foam has highly reactive chemicals, which must be applied using protective equipment to avoid any contact. Choose the Team. Always ask questions before choosing a contractor. For example, it’s important to know their amount of training, years of experience and proof of insurance coverage. It’s also important to ask for references before making a final decision. Know the Process. Discuss the application process with your contractor and discover how it will impact your home, including ventilation, safety practices and length of time needed for installation are all key factors. For spray foam roofing equipment, such as spray foam guns, spray foam insulation, single ply roofing and commercial roof coatings applications – Intech Equipment and Supply is your one-stop shop.